The Pragmatic Programmer: From Journeyman to Master has been a classic for eleven years and counting. And now, for the first time ever, you can get the DRM-free PDF, epub, and mobi versions of The Pragmatic Programmer directly from us. And we can deliver them to your Dropbox, your Kindle, and you can join the community commenting on the book over at Readmill. As a special thank you to you, our loyal reader, this DRM-free ebook is available at a special price until Friday, September 14, 2012 only from pragprog.com/book/tpp. That’s because even though it’s over ten years old now, The Pragmatic Programmer still expresses our beliefs about successful software development. Since then, we’ve been proud to have worked with hundreds of authors to develop new titles for the Pragmatic Bookshelf in the areas of projects, careers, and technical skills that exemplify the Pragmatic Programmer spirit. But here is where it all started. Come get a copy to own for yourself today. Make your development more precise with automation. 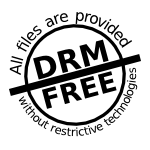 Now available in DRM-free ebook formats from pragprog.com/book/tpp.